On 10 March 2018, the City of Paris, together with the European Civic Forum and the Jeunes Européens-France, launched an ambitious two-year project. The INCLUDE (Initiatives nouvelles pour la citoyenneté locale et urbaine des Européens) project aims at promoting European citizenship at the local level and inspire other public authorities elsewhere in Europe. The idea behind the programme is to better inform Parisians about their rights as European citizens. Also, INCLUDE invites European citizens living in Paris to take part in the local community, not only by registering for local and European elections, but also through participation in decision-making. Launch and drive a European info-bus through the city, starting at the end of 2018. The bus will stop in different neighborhoods on voting rights and European citizenship in general. 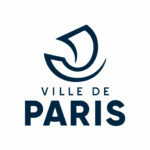 Creation of a consultative committee composed of European citizens, the Paris Council of Europeans. Based on spontaneous suggestions, organise an event about Europe together with the INCLUDE team.